One of the most spectacular giveaways of nature is the gift of colour; the gift of being able to extract infinite hues and shades, rich solids and diffused blends from plant and earth elements to use as pigment medium . Human beings started using colours from nature in art, some 40,000 years ago- the beginning of the world of colour we live in today. Celebrating this wondrous element of nature, Ekmatra presents ‘Natural dyes’; a range of sustainable clothing in khadi cottons, dyed and printed with vegetable colours. 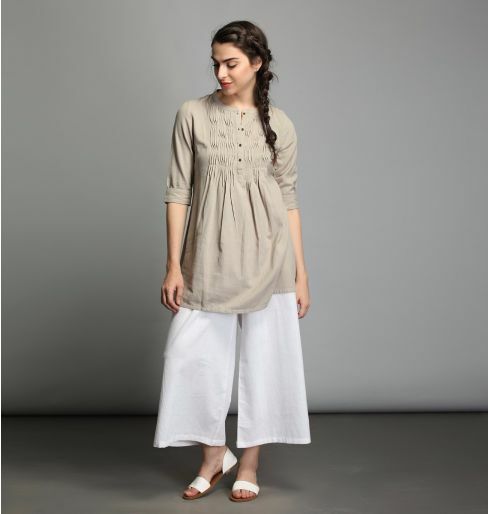 The use of natural dyes in the block printing craft of Ajrakh from Kutchh, can be traced back to the Indus Valley civilisation, our Ajrakh styles offer you an overwhelming part of Indian history and culture infused with intelligent silhouettes to ensure maximum comfort.